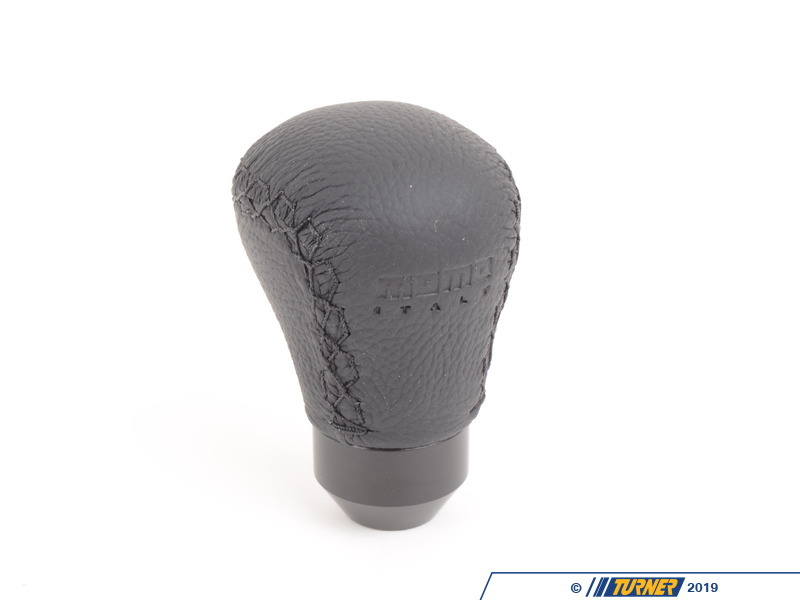 Momo Anatomic Leather shift knob for nearly all BMWs. This is the shorter version - 75mm / 2 7/8" tall. Installs in minutes for a unique touch to your interior. 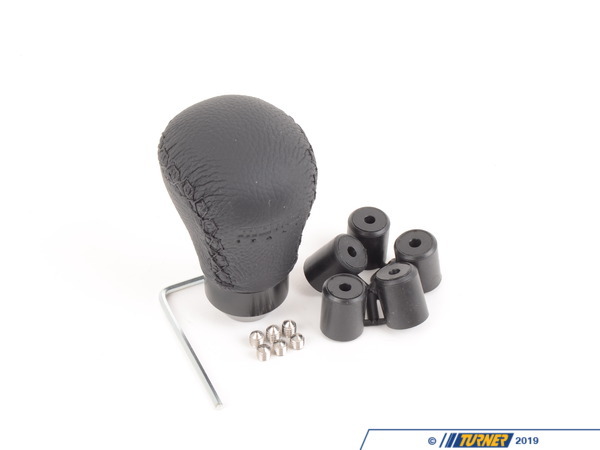 High quality black Endurance leather with black anodized base. The Anatomic knob favors two-finger or over-palm shifting (the palm over the top of the knob). 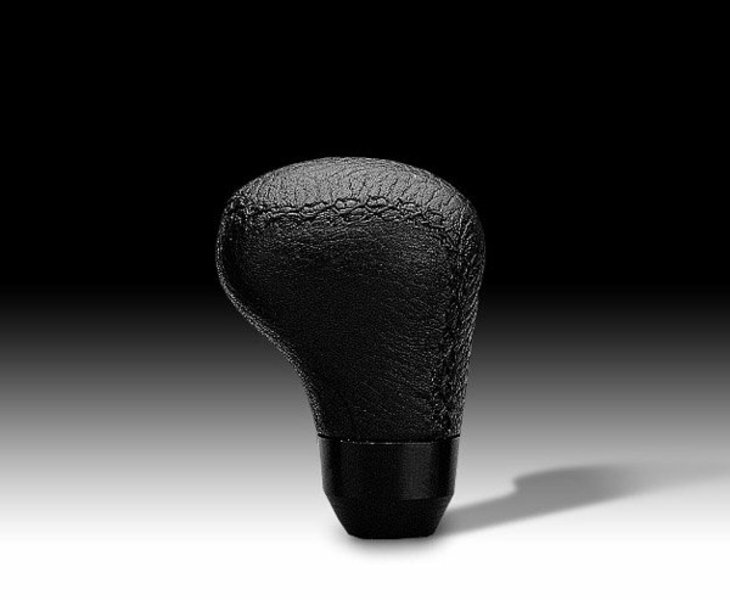 The shape allows two fingers to rest under the head of the knob - a more ergonomic shape than the factory shift knob. This knob is 5.5oz, slightly heaver than stock, and the same weight as the ZHP knob. Comes with installation kit, ready to install.